Last week was special for my good friend, Laura E James, her fantastic novel WHAT DOESN’T KILL YOU was released in paperback. Regardless of the fact that Laura and I are friends, I have to say what a great book this is – I’ve long been an admirer of Laura’s skill with words and how she fearlessly tackles difficult and thought provoking issues. 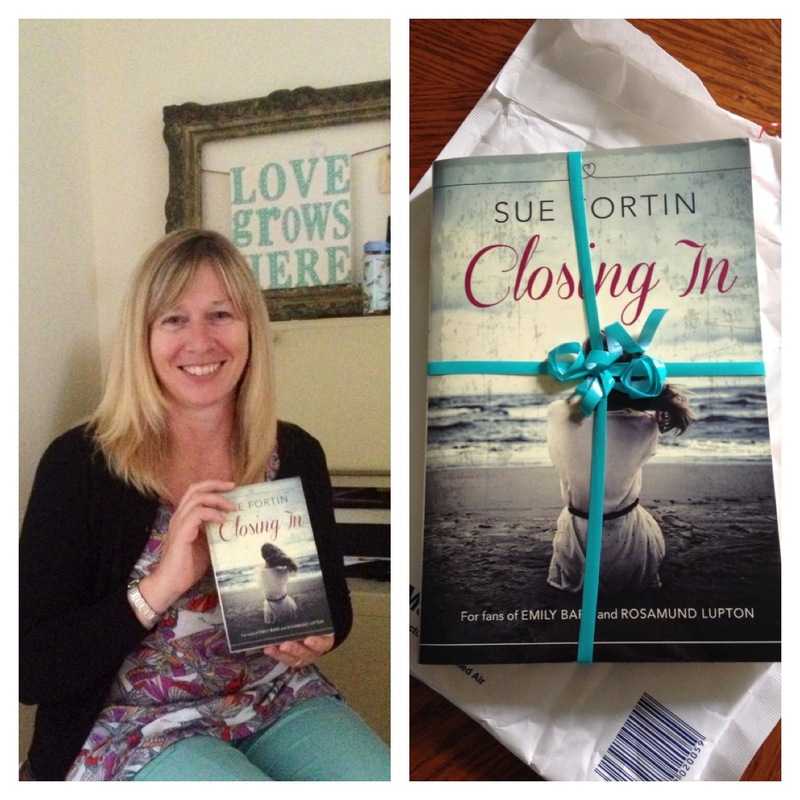 Laura is also running a giveaway with the chance to win a signed paperback copy of this fab book. See the end of the post for details how to enter. There’s also another reason why this is special, it’s a first for me. I’m very honoured to be quoted on the cover of WHAT DOESN’T KILL YOU. There was so much to say about this book, it was actually quite hard to condense it into a couple of sentences to fit on the cover. The description and my full review is below. As I say, it’s a great read and I am looking forward to getting my copy signed by Laura when I next see her. Griff Hendry knows what it is to be strong. After a turbulent past, he’s dedicated himself to saving lives, working as a coastguard along the breath- taking shores of Dorset. It’s Griff’s belief that everyone is worth saving – which is why he can’t forgive his father, Logan, for what he did. What Doesn’t Kill You has been written in such a way that it is uplifting whilst dealing with difficult and dark issues. It certainly isn’t an easy read at times but as a mother, a wife and a daughter, it made me wonder how I would react in Evie’s shoes. Laura deals with the issues in an empathetic and realistic manner, reinforcing the importance of communication and understanding within the family unit. Tess, the teenage daughter, was a story within a story and her troubled past which impacted on her present was handled with sensitivity. I felt a lot of compassion for this troubled, yet caring teen. Although there are tough issues in this novel, Laura keeps a tight rein on it all. It is a very powerful story which brought tears to my eyes on more than one occasion. Darker than her previous novels but nevertheless positive and life affirming. What doesn’t kill you, in this case, certainly does make you stronger. Laura : Thank you so much, Sue, for wrapping up the blog tour for the paperback launch of What Doesn’t Kill You and for the wonderful review, support and friendship. I am delighted, privileged and extremely honoured to have your quote on the cover. As this is the final stop, I’d like to offer readers a chance to win a signed copy of What Doesn’t Kill You. To be in the draw, please leave a comment here or tweet @Laura_E_James with the words ‘What Doesn’t Kill You paperback giveaway’ and the hashtag #whatwouldyoudo. Giveaway ends midnight, UK time Monday 23rd January 2017. The winning name will be picked by random from a teen’s snapback cap. I’m off to jet wash the tour bus. See you soon. This entry was posted in General blog and tagged Book_Launch, launch_day, Laura_E_James, paperback, What_Doesn't_Kill_You on 17/01/2017 by suefortin.